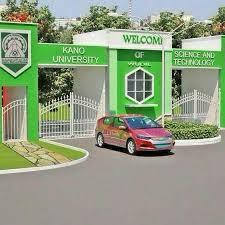 The Kano University Of Science And Technology, Wudil, Has Inaugurated Two Committee On The Recent Students Unrest That Happened In The University. The Vice-chancellor Of Kano University Of Science And Technology, Wudil, Professor Shehu Alhaji Musa Has Inaugurated Two Committee On The Recent Students Unrest That Happened In The University As a Result of The Death Of Level 300 Biology student, Faruk Abubakar. (2) Evaluation Headed By onetime Acting Vice Chancellor Of The University, Dr Muhammad Ibrahim Abdu Is charged With Evaluating Properties Destroyed, Extent Of Destruction, Cost Implications Etcetera. Inaugurating The Committees,The Vice Chancellor Told The Members That They Were Appointed On Their Merit And Qualification.